Happy New Year to all our friends, our writers, and our readers! On behalf of co-editor Jo-Anne Rosen and myself, blessings to you and your beginnings. 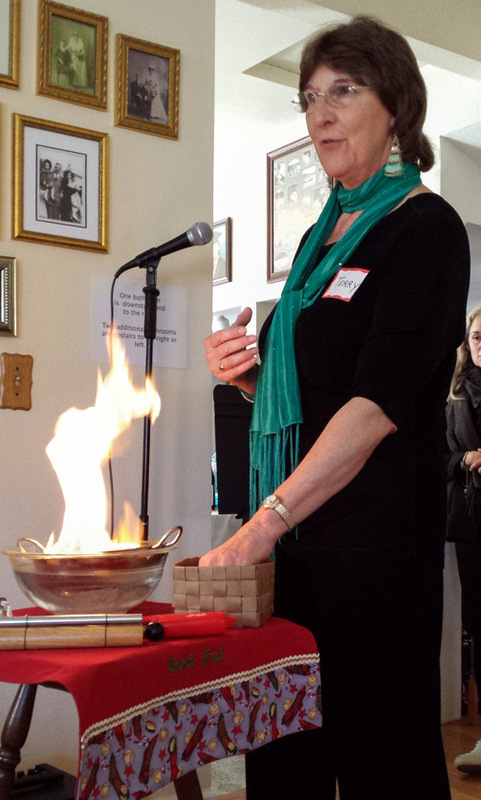 Friend Jerry Meshulam caught this photo of this year’s ceremonial burning of the hopes/wishes for 2015 in a “magic” smokeless flame. At the annual New Year’s Poetry Brunch, we each put in our wish for something we’d like to bring into the world in the coming year, and these silent wishes are then carried out the door by all who witness. We, none of us, can bring our hopes to fruition without the help of others, nor without action. Whatever you wish to be, do, or make happen in 2015, begin today to imagine it. Note: My husband and I have been hosting this pot-luck of food, conversation, company, and poems for 16 years: our way of saying thank you to this amazing community of writers we’re lucky to be part of. The event has grown over the years, and the guest list has always been subject to serendipity, the whims of the ether, the weather, and even the occasional New Year’s flood. Also because our house is limited in size, we can only accommodate about 35 guests. If you received an invitation in the past, but not this year, that may have been a result of my inadvertently deleting the list I’d cobbled together over the years. I created a new list from past RSVP’s, but it wasn’t as complete or current as I’d hoped. If you’re interested in being added to the invitation e-mail list for next year, send me a message with the subject heading “New Year’s Poetry Brunch,” and I’ll make sure your and your current e-mail information are included: tehret99@comcast.net. A week ago, Mark Baldridge, Joyce Jenkins husband and partner, passed away too young and too soon. He was a gentle, guiding force behind Poetry Flash and Watershed Poetry Festival. 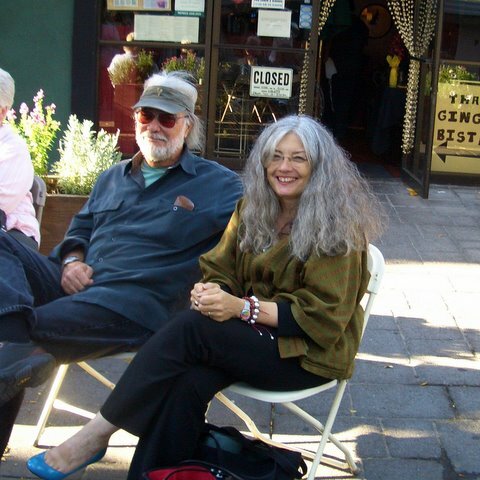 The projects he championed will continue, but it you’d like to help Joyce and others keep these going, consider making a donation in Mark’s memory to Poetry Flash or to the Center for Environmental Literacy. One of the jewels in our local literary firmament is the WordTemple Reading Series, hosted by our Sonoma County Poet Laureate Katherine Hastings. On Saturday, January 24, 7:00 p.m. WordTemple returns to the Sebastopol Center for the Arts hosting Marin County Poet Laureate Joe Zaccardi, editor of the anthology Changing Harm to Harmony — Bullies & Bystanders Project. A number of contributors, including several Sonoma County poets, will read from the anthology that night. Andre Le Mont Wilson, Gerald Fleming, CB Follett, Katherine Hastings, Jodi Hottel, David Beckman, Ed Coletti, Stephanie Mandel, Rebecca Foust, Susan Terris, Mark Meiderding, Julia Vose, Eva M. Schlensger, Barbara Welch Brooks, Alan Cohen, Linda Enders and Calvin Ahlgren. Also reading is Ellery Akers, celebrating her latest collection, Practicing the Truth, and Sonoma County poet Phyllis Meshulam who will read from her new chapbook from Finishing Line Press, Doll, Moon. Location: 282 S. High Street, Sebastapol. Excerpted from The Late Hour by Mark Strand. Copyright © 2002 by Mark Strand. On the second day of the year, I rest. a little drunk with light. Excerpted Night Sky Journey, by Terry Ehret.